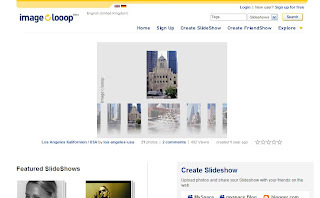 Imagelooop a website that based on Britain, and it lets you to create moving photo album (slide shows) online. You can upload your photos (unlimited space), make them to slide shows, put it on your blog or website,and share them with your family or friends. But compare to other moving photo album makers, Imagelooop seems lack features, you can not add music with.